Questions about the musicians, history, songs and albums of the classic rock band Steve Miller Band. 1. Complete the name of this 1976 album by the Steve Miller Band: Fly Like an ______. 2. In what California city was the Steve Miller band founded? 3. What was the original name of the Steve Miller Band? 4. What is the common nickname given to Steve Miller? 5. Who was the original guitar player for the Steve Miller Band who went on to a successful solo career with hits like "Lido Shuffle" and "Harbor Lights"? 6. What 1973 album by the Steve Miller Band focused on straightforward rock, leaving the psychedelic side of the band behind? 7. On what Steve Miller Band album will you find the hit song "Jet Airliner"? 8. Complete this lyric from the song, "The Joker" by the Sateve Miller Band: "Some people call me the space cowboy, yeah. Some call me the gangster of love. Some people call me _______ (whew whoo)." 9. What album did the Steve Miller Band release in 2010, their first in seven years? 10. 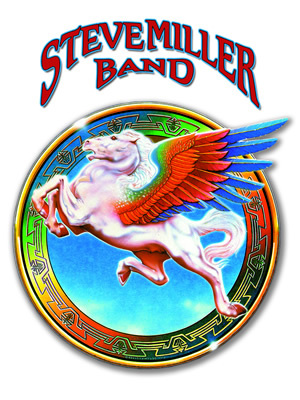 With what rock band did the Steve Miller Band tour in 2014?